Tuesday's Wisconsin primary was a big one for the Democrats. Vermont Sen. Bernie Sanders took the win — and 48 delegates — over former Sec. 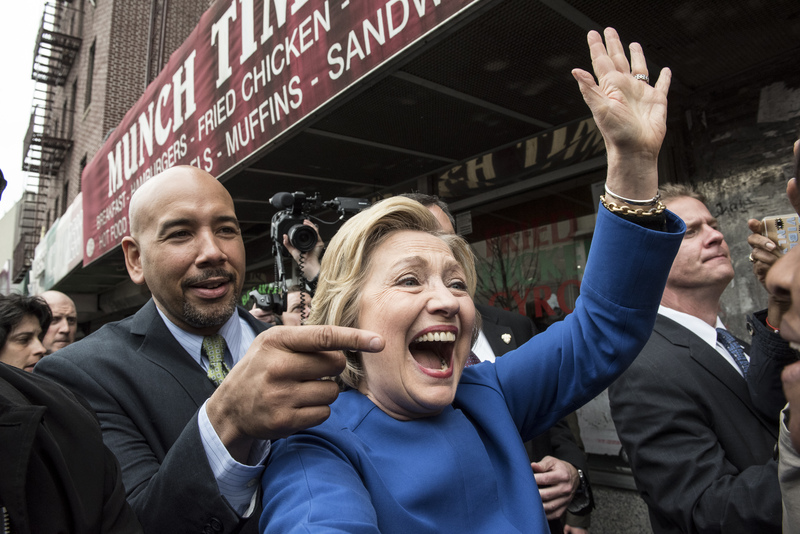 of State Hillary Clinton, and by a 10-point margin. Next up in the primary schedule is the Wyoming caucus. With the Wyoming coming up on Saturday, April 9, will Hillary Clinton campaign in the state of Wyoming? The state holds just 14 delegates that will be allocated on a proportional basis between the two candidates and four superdelegates. And just days ahead of the caucus, Clinton received a big endorsement from the state's former Gov. Mike Sullivan, the Clinton campaign announced on Thursday. While Clinton herself hasn't made a stop in Wyoming yet, her husband and former President Bill Clinton campaigned for Clinton in Cheyenne on Monday and spoke to a crowd of 500 people. He spoke about transitioning away from the fossil fuel industry and toward renewable energy, and about the importance of expanding Medicaid in the state. Bill told the crowd, "There are few states in America that would be more benefited by expanding Medicaid than Wyoming. It would really make a difference." However, Clinton's campaign rally was also met by a small group of protesters who took on Hillary's alleged "anti-coal stance," as well as her views on gun reform. A contractor named Chris Land, who attended in protest of the event told Wyoming Public Media, "Clinton’s views on global warming, on coal — she says she’s going to put coal miners out of a job. She’s doing it, successfully." Clinton has been under fire recently after a video went viral of her response to a Greenpeace activist at a campaign rally in New York. The activist thanks Clinton for her work on climate change, but then prompted her about her alleged donations from the fossil fuel industry. The activist named Eva Resnick-Day then asked Clinton, "Will you act on your words and reject fossil fuel money in the future of your campaign?" Clinton heatedly responded that she does not have financial contributions from the fossil fuel industry and that she is "so sick" of the Sanders' campaign lies. Even so, an NPR fact check of that statement found that, while the Clinton campaign may not receive direct contributions from fossil fuel companies, it has received $1.2 million from "nine contract lobbyists with ties to the fossil fuel industry." Transitioning away from the fossil fuel industry is an issue of importance to Wyoming voters, specifically because it has taken a toll on the state's economy. Coal mining accounts for 14 percent of the state's economy, as well as one in five jobs. Just a day ahead of the Wyoming caucus, it appears that Clinton has no further plans of campaigning in the state.